I’ve been singing folk songs now for 35 years. The initial trigger was seeing Steeleye Span miming to All Around My Hat on Top of the Pops, late 1975. Then my best friend Mike lent me his Dad’s copy of Below the Salt and I was hooked. LPs by the Watersons, Tim Hart & Maddy Prior, Planxty and the Chieftains followed, before Mike’s Mum bought him the single LP selection from the Copper Family’s A Song for Every Season; none of us realised it at the time, but the Coppers would become one of the biggest influences on my repertoire and musical direction. Then I joined my local record library, which introduced me to records by the cream of the folk revival – Martin Carthy, Nic Jones, John Kirkpatrick & Sue Harris, Shirley Collins – as well as a wealth of recordings by traditional singers, including Walter Pardon, George Maynard, Harry Cox and Phoebe Smith. Since then I’ve tended to concentrate on learning traditional songs, mainly from England – in fact mainly from Southern England – but with a fair few from Ireland, Scotland and America. I’ve learned plenty of songs from fellow revivalists – either in person or via records – but increasingly have tried to get back to the source, whether that be a field recording, printed collection or collector’s manuscript. I was born and brought up in Kent, and have made a point of seeking out versions of songs collected in Kent. But I have now spent almost half of my adult life in Oxfordshire, and have deliberately added a number of Oxfordshire items to my repertoire – particularly as a result of my membership of the band Magpie Lane. 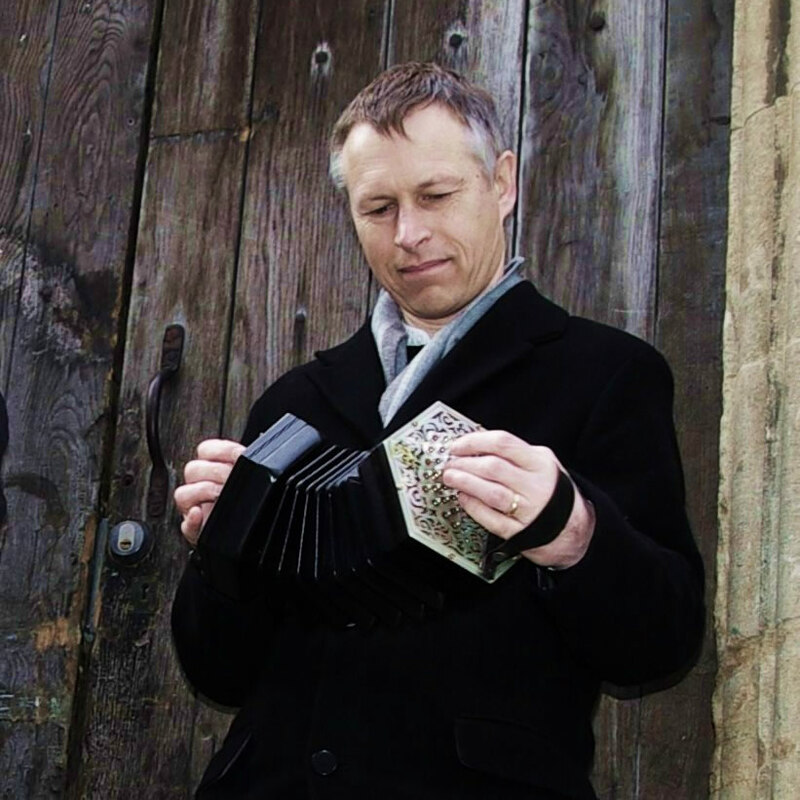 My introduction to live folk music came largely through the local dances put on by the Oyster Ceilidh Band – not only did they play stomping good dance music, but most evenings would also feature a song spot by members of the band. John Jones in particular had a huge influence on my own singing style (although you’d have to go back to albums such as English Rock and Roll: the Early Years and Lie Back and Think of England to see what I mean – John sings very differently these days). As a student in Oxford in the early 80s I was a regular at the University folk club, the Heritage Society in Jericho on a Monday night, and at the General Elliott in South Hinksey on Friday nights. It was at the General Elliott, probably in my first year, that I did a floorspot consisting of a song learned from Martin Carthy, and one learned from Cathal McConnell; and the way I sang them made it obvious who I’d learned the songs from. Afterwards Graham Metcalfe, a huge presence on the local folk scene, told me that I was a good singer, but must learn to sing the songs in my own voice. It was one of the best bits of advice I have ever been given, and I have tried to follow it ever since. It was also while a student that I was introduced to Sacred Harp and West Gallery singing, and these – as well as the vernacular carolling traditions of places such as Sheffield and Padstow – continue to be a great source of joy. I have been a member of Dave Townsend’s Christminster Singers since their foundation in 1990. I have also been a morris dancer, and play dance music with the band Geckoes – but this site is all about songs, so I’ll say no more about that here. I come as a refugee from the recently completed A.F.S.A.D. and I am looking for a new home for my long term addiction to all types of folk music. Congratulations on an excellent site. Many thanks for your comments. I’m guessing that the recent rise in visitors to this site has been prompted by the Magpie Lane article in English Dance & Song. Glad you came, and glad you like the blog. I LOVE THIS SITE. I bookmarked it a long time ago, then lost track of the name. Now I have simply named it FOLK SONGS!!! so I can find it again. I have a Dover edition of Childe, another of Lomax, and some other collections of all kinds of folk songs especially from the British Isles. Thank you! Hi Andy – Your blog is incredible. What a service you are providing! I look forward to reading over all the posts. Hi Andy, what an amazing project this is! I came across it whilst doing my own research around Topic’s ‘Voice of the People’ Collection. Are you on Twitter? It would be good to publicise your site that way to help it reach a wider audience. The NLS have a digital broadside sites similar to the Bodleian’s that you might want to link to, http://digital.nls.uk/broadsides/index.html. Thanks Wylie. I’m @audinarymusic on Twitter. Hi Andy – and Margaret Hamer! Just to add that Garner’s Gay was probably my second book of songs, after the English Book of Penguin Folk Songs. I think I bought it in Russell Acott, the note in te front says ‘Oxford 1975’.Much thumbed and much loved. Acquired Green Groves a lot later. Sorry, was posting about ‘I saw the Light’and got distracted by Margaret H’s post on this page!